Ready to take your creative business to the next level? You need Marketing Strategies that work! Successful artists inspire others to become collectors by using marketing methods that resonate emotionally with them. Grow your own art business by learning how you can do this, too. Develop your best portfolio, present yourself professionally, and get your work taken seriously. Identify your target audience, and write compelling marketing messages that resonate - converting prospects into collectors. Get press coverage, gain testimonials, and develop a raving fan base for your art. Use smart marketing techniques, ranging from direct mail and advertising to online and email campaigns. Build your network, make repeat sales and get referrals to new collectors. Create an effective art website that shares your story and portfolio with the world. Use social media to build a fan base, and drive traffic to view your work. Create a solid plan, market your work, gather prospects, follow up - CLOSE THE SALE! Scroll down to view the course curriculum and topics. What's the Secret to Marketing? Wonderful course to create a plan of success! 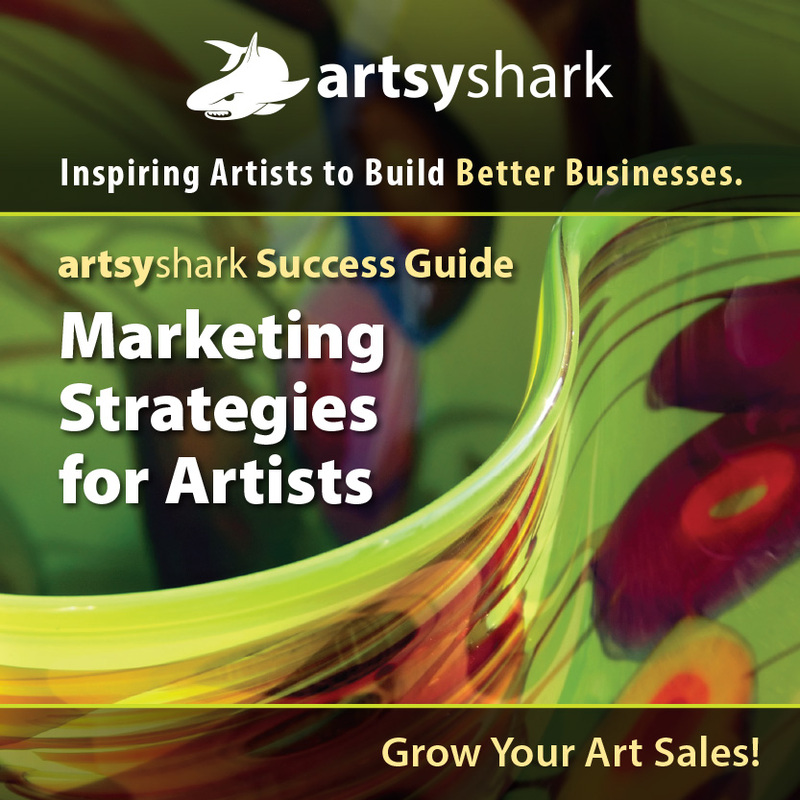 ArtsyShark Success Guide: Marketing Strategies for Artists is a deeply comprehensive look into marketing for artists. Though detailed, the information is easy to follow and understand. Information regarding the psychology of the buyer and instruction on how to convert prospects into avid collectors was impressivel This course takes you step by step, providing downloadable checklists and self-evaluations that allow you to take measure your business and create a plan for success! Wonderfully comprehensive and informative marketing course! The "ArtsyShark Success Guide: Marketing Strategies for Artists" course covers a lot of marketing strategies and info, but presents it all in a format that progresses logically from one topic to the next. The topics themselves are comprehensive, offering lots of material and suggestions, but are well-written, easy to follow and understandable. I especially appreciated the "Self Evaluation" downloadable pdfs at the end of each section that will not only help me organize and keep track of the steps I need to take, but force me as well to stop for a moment to think through what I really need to do to create a viable marketing strategy for my artwork. The depth and breadth of this course is impressive! Each section offers strategies and specific steps to effective marketing and raising your game to a new level. After years of following ArstyShark.com, I can say that I have learned a great deal. This course brings it all into focus and adds layers of information and insight into the business of art. Even the most seasoned professionals will find gems in the lessons and exercises that will elevate their efforts and propel their careers.